Indian-American Pulitzer Prize winner Jhumpa Lahiri has been selected for the prestigious 2014 National Humanities Medal which would be presented to her by US President Barack Obama next week. While he was vacationing in Martha's Vineyard last summer, U.S. President Barack Obama brought along a book, “The Lowland“by the author Lahiri, and clearly it made a deep impression on him. "In her works of fiction, Lahiri has illuminated the Indian-American experience in beautifully wrought narratives of estrangement and belonging," the White House said in a statement. 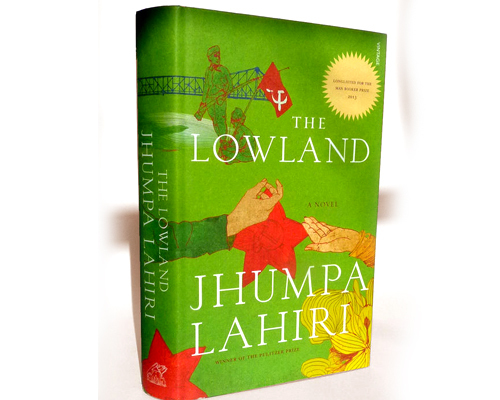 In January, Ms. Lahiri was awarded the DSC Prize for South Asian Literature for “The Lowland,” set in both New England and West Bengal in the east of India during the 1960s when the Naxalite movement, a separatist uprising, began. The book was previously longlisted for the Man Booker Prize for fiction in 2013 but did not win. Among other awardees include historians, writers, a philosopher, scholar, preservationist, food activist and an education course. The annual awards recognize individuals and organizations whose works “has deepened the nation’s understanding of the human experience, broadened citizens’ engagement with history and literature or helped preserve and expand Americans’ access to culture,” according to the National Endowment for the Humanities, the federal agency that manages the program on behalf of the White House. “The recipients of this medal have sparked our imaginations, ignited our passions, and transformed our cultural understanding. They embody how the humanities can serve a common good,” NEH Chairman William Adams said in a statement.